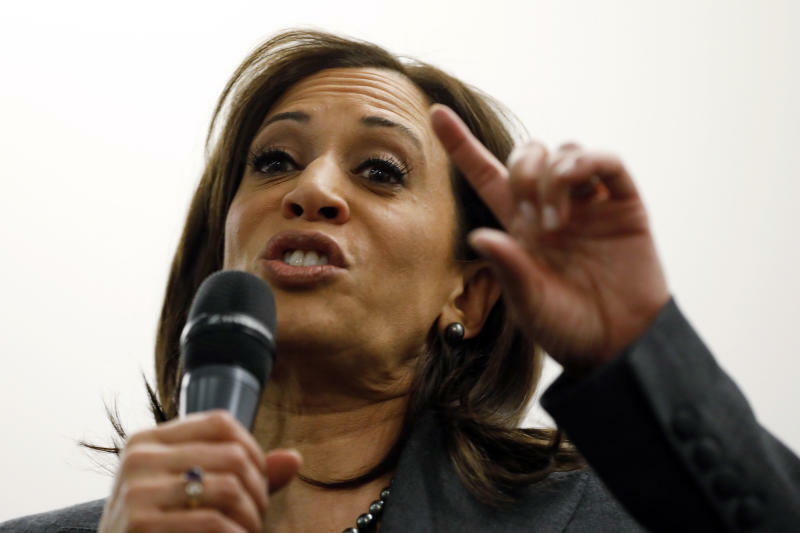 DES MOINES, Iowa (AP) — Democratic presidential candidate Kamala Harris defended positions she took as California's attorney general that are unpopular with some Democrats, saying they reflected her duty as the state's top law enforcement officer. 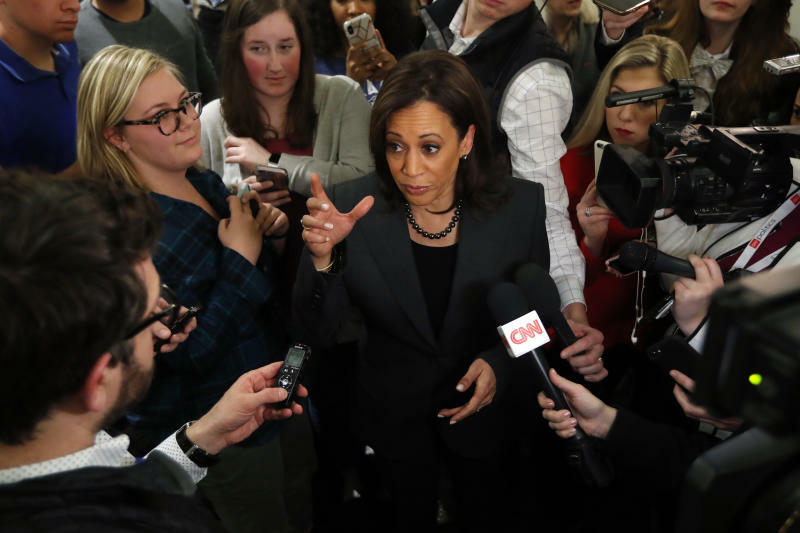 "It's a flawed system. 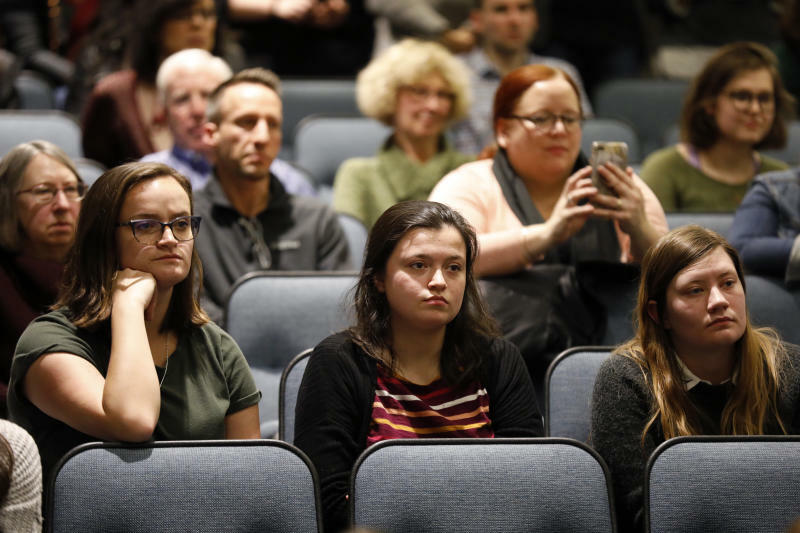 It is applied unequally based on race and based on income," she said in answering student Riley Fink's question in the school's Sheslow Auditorium in Des Moines.